A word of warning: 90% of “weekend brunch” places are not actually open on Sundays in Antwerp. Go figure. So make sure you catch Barchel on a Saturday (or stay in Antwerp mid-week). 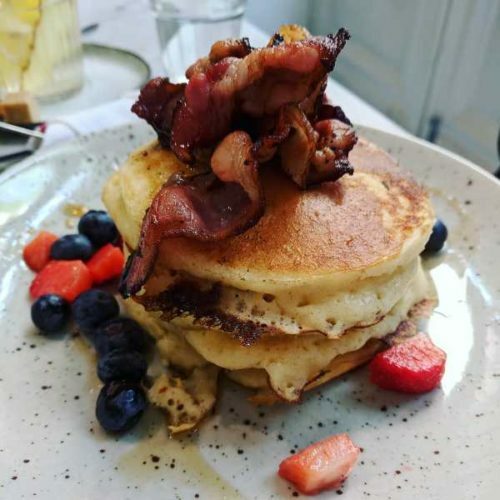 They do an excellent stack of American-style pancakes, flavoursome huevos rancheros, and other well-executed international brunch dishes. Plus the usual fresh juices, good coffee and so on. The service was a little slow but certainly friendly, and the location has a light, airy, botanical feel to it. You can’t visit Belgium without sampling the country’s national treat: chocolate. And while there are any number of spectacularly high quality chocolatiers in Antwerp, we certainly found that Goossens fitted the bill. They had a selection of less traditional flavours, as well as their signature “Antwerp diamond” chocolates (their shop is in the city’s famous diamond district). Just off the Grote Markt, well positioned for when you’re in need of a sightseeing break, is Elfde Gebod – the eleventh commandment. The inside of this ancient and atmospheric bar is inundated with statues of the the Virgin Mary, Jesus, the disciples and a whole host of other Christian characters. 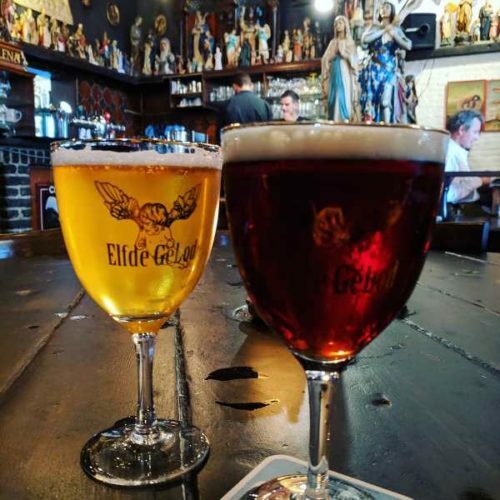 Luckily for us atheists, the house beer is also a draw: choose from blond, brown, honey and even cinnamon beers brewed in-house, or many other Belgian beers that are also available on tap or by the bottle. The Elfde Gebod serves food, too, but we didn’t get time to try it (if you do, let me know if it’s any good). North of the historic centre in Antwerp’s docklands area is the spacious, industrial-style Felix Pakhuis – a good pit stop after visiting Museum aan de Stroom. Something of an all-day concept, it’s handy for a morning coffee and slice of apple pie, an afternoon tipple with a snack, or dinner in the evening. We went for the middle option and tried a glass of bubbles with some chicken wings, veggie crisps and (of course) Belgian fries with mayo. In the evening, head back down to the centre of town for cocktails at chic-meets-industrial vibe Caffe Barbossa, complete with exposed brick walls and low lighting. Never mind the fact that the barmen are delicious to look at, the whiskey sours are pretty darn tasty too. In the basement level of the shop of the same name (also worth a visit) is restaurant Graanmarkt 13. 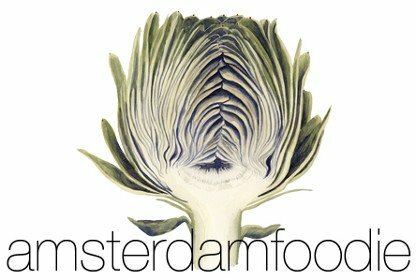 Cosy yet modern, it focuses heavily on local, seasonal vegetables – beautifully prepared and presented. 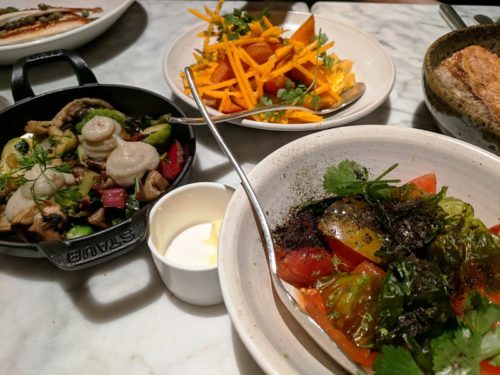 The three-course menu will cost you €45 and comprises a fixed starter, a selection of three veg-led sharing dishes for main paired with a choice of either fish or meat, plus a fixed dessert. The night we were there, flavours veered towards the Middle East, with highlights being the tomato salad and the pumpkin dish – both of which packed a flavourful punch. Graanmarkt 13 also has a nice wine list, and the atmosphere is perfect for a special group dinner or a romantic dîner à deux. Where are your favourite places to eat and drink in Antwerp?